When the history of a new Indo-British partnership, post 1991, is written, the name of Lord Kumar Bhattacharyya will be written in letters of gold. He pushed the economic and industrial relationship higher and higher, breaking new ground and building new pathways. The Warwick Manufacturing Group took special leadership, bringing the best of manufacturing know how to Indian industry.This was institutionalised with the CII through a Centre of Excellence in Manufacturing, sponsored by Godrej & Boyce and located in Vikhroli, Mumbai. He projected this as an Indo-British Partnership Initiative. 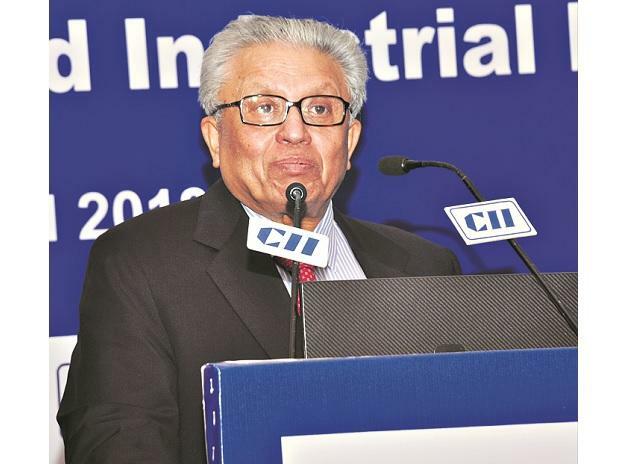 In CII, he found a partner desperate to give priority to manufacturing, which had become uncompetitive in the decades post-Independence because of a lack of competition and pressure. An important dimension was the several hundred Indian engineers trained at the Warwick Manufacturing Group. These engineers are scattered all over India working in a variety of industries. Lord Bhattacharyya therefore helped create a human resource army ready to face the world in manufacturing. This programme faced many challenges but he persisted in the mission to help Indian industry transform itself. When he began the journey with India and CII, he was “The Prof”. Later, he was made “Lord” but he was always the Prof to India. And a small example of his commitment to the Indo-British Partnership happened pre-general elections in the UK in 1997. Tony Blair, campaigning to win for the Labour Party, visited Warwick Manufacturing Group. Professor invited and introduced Supriya Banerji, head, CII UK, to Tony Blair. And, soon after, when Tony Blair won and became prime minister, an early meeting was with CII’s CEO Mission, again thanks to the intervention of “The Prof”. Another key role he played was connecting the leadership of the two countries, especially after the nuclear tests and adverse global reaction. He met former prime minister Atal Bihari Vajpayee, deputy prime minister L K Advani and foreign minister Jaswant Singh informally, and repeatedly, acting as a quiet bridge between the policy and decision makers. It was fitting that the government of India recognised his services to the nation with a prestigious Padma award. He also worked quietly with the Indian High Commissioner in London, Ambassador Ronen Sen, to facilitate a regular dialogue with British media, especially the Financial Times, to project India. Lord Bhattacharyya, of course, contributed enormously to the British manufacturing industry and received multiple awards in recognition. In particular in 2016, he was appointed Professor Regius of manufacturing which was an appointment by the Queen. Beyond India and the UK he built close links with China, the US and Japan counselling and mentoring the development of manufacturing industry. So his partnership stretched across the globe. Beyond countries and beyond institutions, like the CII, this unique man became mentor and guide to some of India’s premier business groups. Two examples are the Tata group and the TVS Motors group. And, he brought Ratan Tata and Venu Srinivasan together under his umbrella, helped build friendship and mutual trust which led to Venu joining the Tata Sons board and, later, became vice-chairman of Tata Trusts. Another unique aspect of this man was that he never accepted any payment from anyone. It was all about friendship and caring. He was a “giver” never a “taker”. On the personal front, during the lifetime of his mother who lived in Calcutta, he made a daily morning calls to her. Of course, he was not perfect, in fact happily absent minded always losing his specs. So his wife Bridie kept an extra pair everywhere at home. And when he was asked how he was the answer was unchanging: “I am fine”. He was always fine. His wife Bridie was fine. His three daughters, Anita, Tina and Malini were fine. This was the great man who passed away on March 1, 2019.